Day three of NaNoWriMo is here. Whether you're participating in this month's writing craze or you just want to be productive on whatever you are working on, this method my critique group helped me figure out may be just the thing you need. I love to write, and I have no idea why I resist working on my WIPs. I want to write and sell more books, so I do need to make progress. But sometimes it is almost painful to get started--however, then my fellow Lit Ladies taught me the following method on Thursday night--write as much as you can on your current manuscript without stopping for just fifteen minutes. At the end of fifteen minutes, we each shared how many words we had managed to write. It was amazing--one member who was writing a dialogue heavy-scene wrote 1007 words. I managed to write about 750. Then we did it again, and I wrote about another 750. So in a half an hour, I wrote more words on my WIP than I had in the past month, while I was busy marketing Finding My Place and doing my freelance work. Another one of my critique group members said, "This really works for me." We both have kids, so we decided that on Sunday--when my husband works and hers is out of town--we are going to "interval write" (as her husband calls it) while the other one watches the children. Then we'll switch. This was her idea, and I think it's a brilliant one. I'm not officially doing NaNoWriMo--in the sense that I'm not trying to write an entire novel of 50,000 words. I had started a novel over the summer, and I couldn't get back into the swing of things. So, when my group decided to do NaNoWriMo, I decided that my goal would be to finish the middle-grade novel I am currently working on, and I think I will be doing it in November with interval writing! 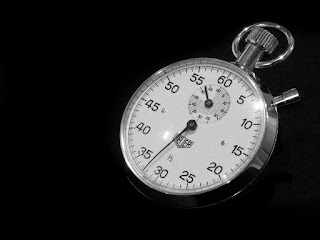 Have you ever tried setting a timer or writing as much as you can in short bursts of time? Thanks for sharing your experience with interval writing. I sometimes use this technique, too. It's great if you can't find longer periods of writing time throughout the day. Great idea. I've used this technique, especially for short-stories, but I refer to it as "Oh for heaven's sake, just WRITE" technique. I get stuck, emotionally hiccuping, staring at the screen and lamenting that I'll never,ever be a real writer. Then something inside me, the parent writer perhaps, scolds myself. JUST WRITE. Bam-- you're spot-on. In the words of Nike, just do it for a short burst and lo and behold, words, paragraphs and pages emerge. Progress. Good article and reminder, thanks. Margo, this interval writing makes sense! I write when I can but with small children, in your case, it would be ideal to take advantage of intervals! I enjoy using timers, and not just for writing. Sitting for thirty minutes working on a project then getting up and moving around has helped me get more done and keep from getting bored or lazy (or even sleepy). Lately, I don't use them to write as I've been doing bursts of work too early in the morning to be waking family. The babysitting-swap is a fantastic idea, you're the first person I've seen include it in the method. A writer (I don't recall his name, but it is not one like Hemingway or Dickens or Grisham) once said upon getting up in the morning, he writes two pages before going to the bathroom and peeing. He said sometimes it is a very fast two pages, but it does push him to write. I've never used a timer. But it might be a good idea to see how many words I can produce in a pre-determined amount of time. @Patricia--yes, with small children we must be creative! @Charlene--you just gave me an idea for cleaning--anything awful can be done in short bursts--right? I recommend the free software program "Write or Die." You can set word-count goals or timed goals. You write like crazy during that time, but if you stop for too long, there are different methods of persuasion you can choose from -- such as the screen turning a bright red, screaming sounds being blared at you, or (my favorite) kamakaze mode which actually begins deleting your words until you start typing again. Once you've met your goal, you copy-and-paste it into your own document. I LOVE Write or Die and find I'm most productive when I use it! Not sure I could do pre-bathroom writing. At one point you'd have to worry about trying to write through the "bathroom dance!" It's one of the first methods I taught to freshman in English class. Write for 15, then stop, take a break and get back to it. Write or Die - love it!